How do we implement YouTube’s content policies? Given that several Tucson Sector Border Patrol agents have been in an uproar regarding these videos over the last year, I can only assume YouTube invoked the above clause to remove the offending videos (appearing below) due to pressure from Border Patrol agents who think they have a right to anonymity while operating within the public sphere in their capacity as public servants. This note was associated with additional demands from Border Patrol agents that my website and blog be shut down for daring to criticize internal Border Patrol enforcement operations while highlighting my personal experiences at the hands of these agents. Given that YouTube community ratings on the three videos removed averaged 4.5 on a scale of 5.0, it’s pretty clear YouTube’s decision to remove the videos was the result of pressure from Homeland Security agents and/or the department itself. Before continuing, I’d like to acknowledge the fact that ultimately YouTube is the property of a non-government entity and as such has a right to set whatever posting policies it chooses. I’m also appreciative of the opportunity YouTube has provided me, and many others over the years, to tell our stories to a large online audience. With just about 50,000 channel views and nearly 500,000 video views in the past year, my YouTube videos of federal agents seizing individuals absent suspicion at Homeland Security checkpoints away from the border have informed, concerned, motivated and disgusted countless individuals. Many of whom didn’t even realize the federal government was conducting such operations against the American people so far away from the country’s international borders. 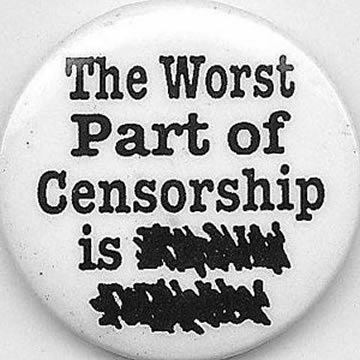 With that said however, it should concern all of us when private or corporate entities are pressured into censoring online content by government actors – especially when such content is perfectly legal and protected by the First Amendment from government intrusion. While some have claimed these videos violate the agent’s right to privacy, such criticism is absurd on its face. Public officials operating on the public’s dime in the public sphere (in this case seizing traffic along a public highway), have no expectation of privacy in either their words or their deeds. Indeed, it is only by shining the light of day on abusive and aggressive enforcement activities directed against the public absent suspicion that we can ever hope to realize redress and ultimately change. We are constantly told by government officials that we as individuals have no expectation of privacy while we’re in public. That if we have nothing to hide then we have nothing to fear. This reasoning however works both ways and applies equally to powerful government officials operating in the public sphere as it does to the rest of us. Claiming otherwise is the height of hypocrisy. Yet this same government that ultimately only exists through the consent of the people, appears to abhor transparency and constantly seeks to deny the public information regarding the conduct of its agents. Fortunately with the advent of the internet, the monopoly big business and big government used to have over the distribution and interpretation of ‘news’ has shifted ever so slightly away from the controlling hand of self-anointed gatekeepers and towards the freedom of speech, press, assembly and redress envisioned by the founders. After discovering that YouTube removed several of my videos in December, I distributed them to several other sites to compensate for the intrusion. One of these sites, LiveLeak, has the added feature of allowing viewers to download the media to their local computer to further distribute as they see fit. With that said, the three videos originally removed by YouTube appear below along with brief descriptions of each and the YouTube statistics associated with them before they were removed at the demand of Homeland Security agents. Homeland Security agents who have no problem with seizing and detaining individuals without cause inside the country but seek to hide their actions from the very public they claim to be ‘protecting’. While Eastbound on SR86 in Southern Arizona, over 40 miles North of the Southern border, I was stopped, seized and searched by armed Homeland Security agents at an internal suspicionless drug checkpoint. The agents know who I am so had no basis to seize me at what is allegedly an immigration checkpoint. Nonetheless that didn’t stop Agent C. LeBlanc from conducting a search by running his drug sniffing dog on and around my vehicle absent consent or probable cause. Since such a weapon makes little tactical sense at the primary stop location of an interior checkpoint along a public highway, I figure its primary purpose must be for general intimidation and harassment. Unless of course the Border Patrol has intelligence regarding a planned riot in the middle of the Arizona desert miles away from the nearest community sometime in the near future. The map referenced in the video, along with the 100 mile Constitution free zone, is related to an ACLU campaign to draw attention to these DHS abuses. More details are available here. The K9 handler, Agent LeBlanc, was perfectly willing to violate my rights with his drug sniffing dog during the encounter but wasn’t willing to identify himself at the checkpoint. He even went so far as to rip his name tag off so that I wouldn’t be able to read it. Fortunately, the camera was a little faster than he was. On October 15, 2008 while driving Eastbound on SR86 in Southern Arizona, four armed Homeland Security agents stopped me at an internal suspicionless DHS checkpoint long enough for a drug sniffing K9 unit to sniff my vehicle absent suspicion or consent. No immigration questions were asked during this brief seizure despite the claim by the Border Patrol that these are immigration checkpoints & Supreme Court rulings requiring the purpose of such checkpoints to be limited in scope to brief immigration queries. The first time I was stopped at a Homeland Security Checkpoint was on April 14, 2005. Having been stopped and arrested at an illegal joint task force roadblock conducted by tribal police, U.S. Customs, and the Border Patrol several years earlier – merely for asking a few questions, I always make sure to carry a camera with me when traveling along this road.